LG V40 ThinQ vs LG G7 ThinQ: What’s the difference? 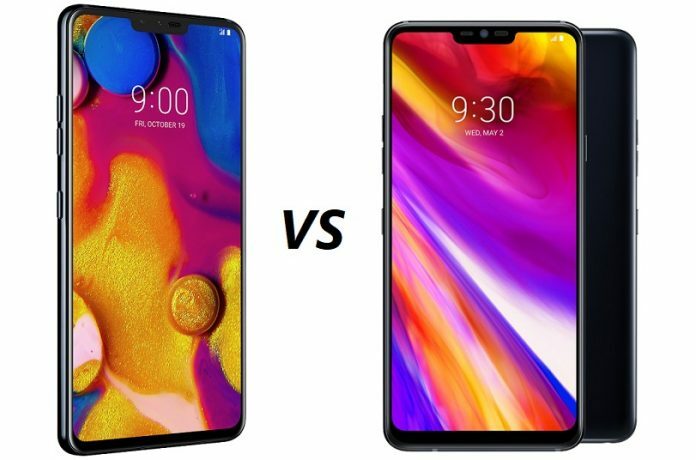 LG V40 vs LG G7: What’s the difference? 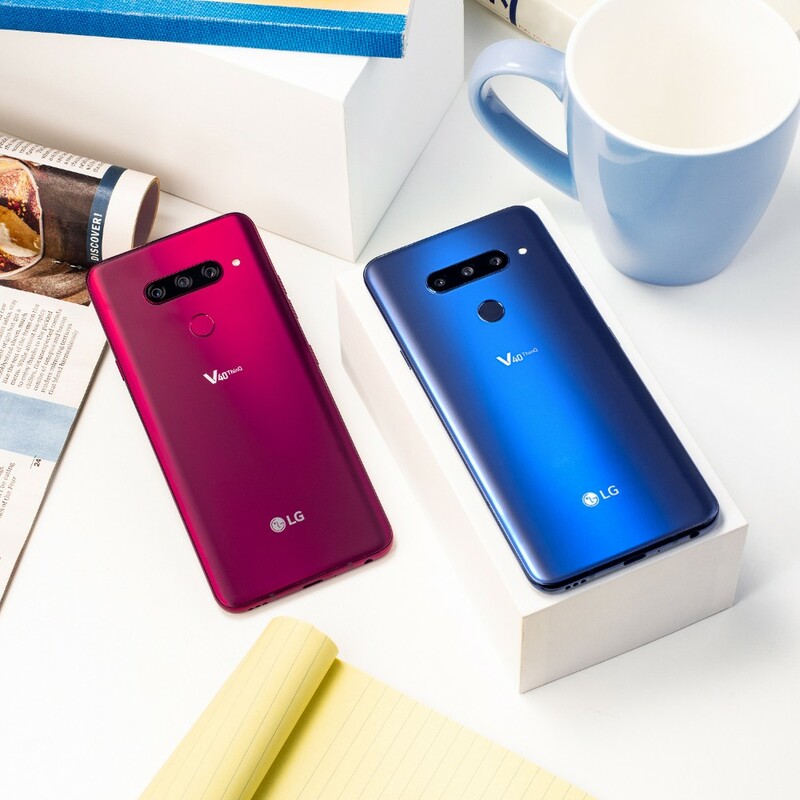 Just a few hours ago LG pulled off the wraps its latest premium handset, the LG V40 ThinQ. 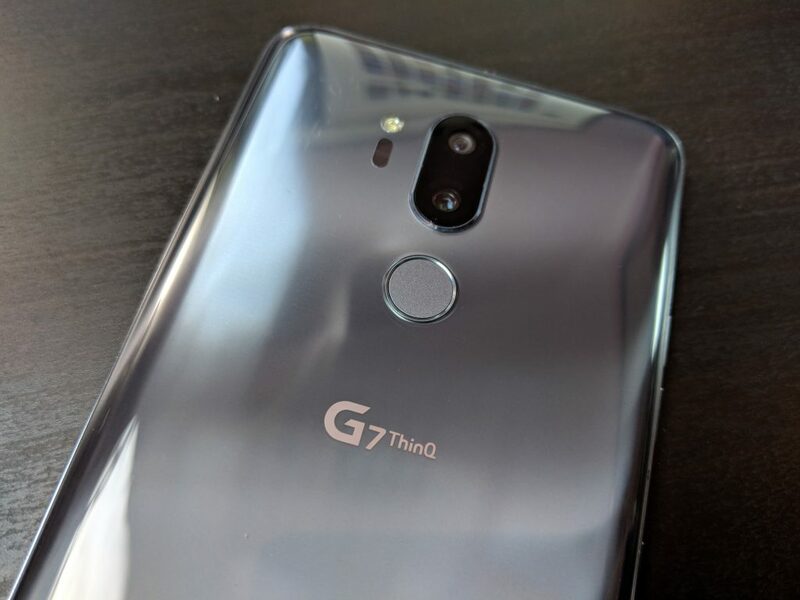 The phones arrives a few months after the launch of the LG G7 ThinQ. So how do the two flagships compare to one another? Keep reading below to find out what are the most important differences. 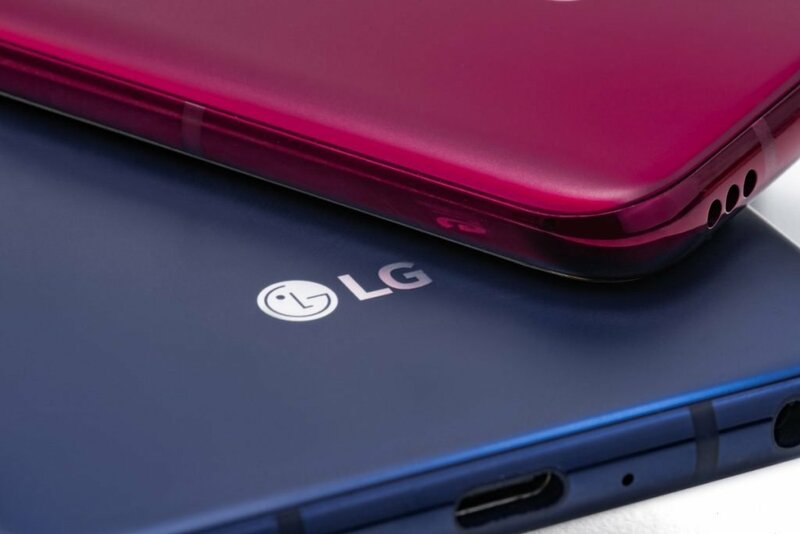 The LG V40 has a lot of things in common with its predecessors, the V35 and V30. It features a glass/metal body and retains the same IP68 water-resistance and military-grade drop protection certification. What’s new is the addition of a dedicated Google Assistant key, on the left side. This button is also present on the G7. Speaking of which, the G7 is also a glass-sandwich with a metal frame. Granted, it’s not super impressive, as LG keeps it basic, yet stylish. In both cases, the fingerprint scanner on the back no longer doubles as a power key. Instead, the latter sits on the ride side of the device. The V40 is the first phone in the V series to come boasting a notch on top of the display. In this respect, it’s similar to the G7. In both cases, you get an option to hide the notch in Settings. The new phone is also taller than the V30 making the jump from a 6-inch to a 6.4-inch P-OLED display. It boasts 1440 x 3120 resolution and 19:5:9 aspect ratio. 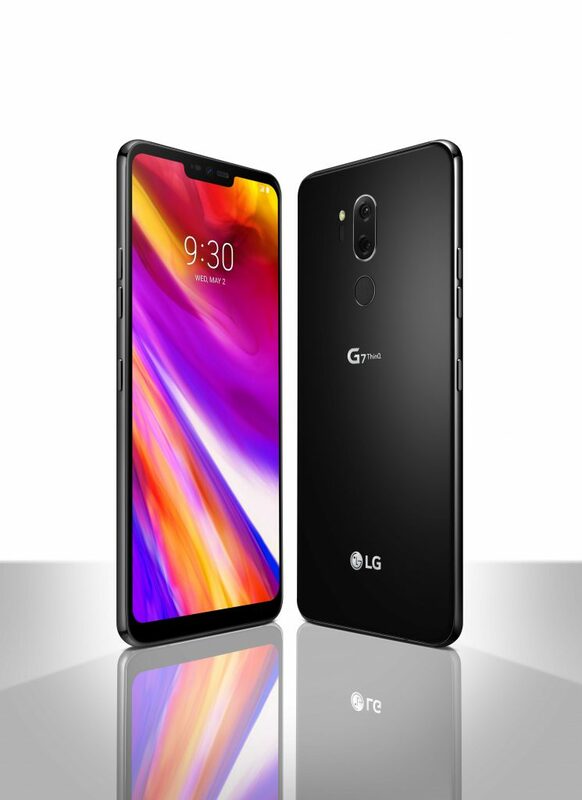 Although the V40 is one of the largest phones in the V series so far, the phone is surprisingly light weighing only 169 g.
As for the LG G7, it relies on a 6.1-inch IPS LCD screen with a resolution of 1440 x 3120 pixels. While the phone features an LCD display, which is often considered inferior, the G7 boasts a spectacular contrast for an LCD panel: upwards of 2000:1. The phone displays impressively deep black and very good maximum brightness of 460 nits in default Auto mode. There’s an outdoor boost mode which offers OLED-like sunlight legibility with up to 1,000 nits. 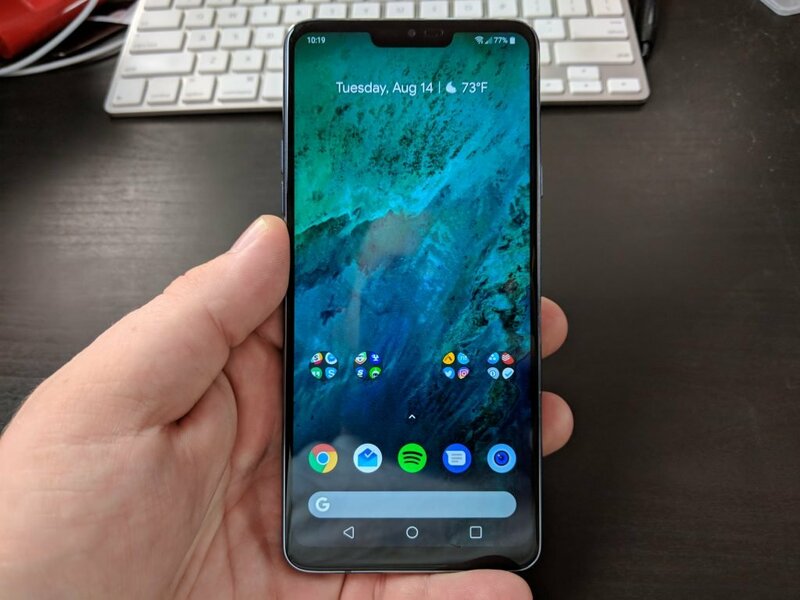 Both devices run on a Snapdragon 845, which is the chip du-jour for high-end Android phones. The V40 is backed up by 6GB of RAM and 64GB of storage. There’s also a microSD card slot for memory expansion. As for the LG G7, it’s offered with either 4GB or 6GB of RAM (depending on region) and 64GB or 128GB of storage. The microSD card slot is also present on board. Moving on to the battery, the V40 is powered by a 3,300 mAh powerhouse, which is identical to the one inside last year’s V30. While the G7 includes a smaller 3,000 mAh one. Both models support wireless charging. LG phones are known for their audio capabilities and the two current flagships are no different. Both the G7 and V40 benefit from the Boombox Speaker loudspeaker that sits behind the grille at the bottom. LG uses the empty space in the phones’ hull as a chamber to amplify the sound and promises loud-blasting audio. In both cases, LG has kept the 3.5mm headphone jack and has included its 32-bit Quad DAC for clearer sound with wired headphones. The camera department is the main area where LG has improved the V40. Actually, the phone is the first from the company to come boasting a triple-camera setup on the back. So on the rear, we have a 12MP main camera with OIS, f/1.5 and a larger sensor with larger 1.4-micron pixels. As for the other two cameras, one is a 16MP snapper with 107-degree wide-angle, while the second is a 12MP 2x zoom telephoto camera. LG has also included a new feature called Triple Shot which will snap three pictures at once, one with every camera. The cameras are all backed by AI, so there are some additional software tricks baked into the phone, apart from scene recognition. For example, there’s multi-frame HDR that optimizes each shot. What’s more, the shutter speed can be adjusted intelligently based on how much movement is detected. This will have the effect to minimize motion blur. On the front, LG has included a dual 8MP+5MP (wide-angle) camera setup. The LG G7, on the other, boasts a main dual-camera setup. You get a 16MP sensor with f/1.6 and OIS and a secondary 16MP one with f/1.9 aperture. The front camera is an 8MP unit with f/1.9. The G7’s main camera is capable of rich scene recognition thanks to the power of the AI. The device also features additional modes like Super Bright Camera and a dedicated night mode. Sadly enough, the LG V40 ThinQ launches with Android 8.1 Oreo out of the box, while the G7 runs Android 8.0 out of the box. Sure, we expect them to get the Android 9.0 Pie update at some point, but knowing LG this will take a while. Yet, it’s quite disappointing to see a new phone launch in October, two months after the Pie update was released, with Oreo pre-installed. The LG V40 is one of the most expensive phones the company released to date. The device will hit retail shelves starting on October 18 for $920 and up. Check here to see where you can buy it from. As for the LG G7, it’s a bit more “affordable”. For example, at Verizon, the device is available to buy for $750 outright. Given the fact that the V40 is now out, we can expect to see the G7 get discounted, so keep an eye out.